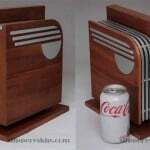 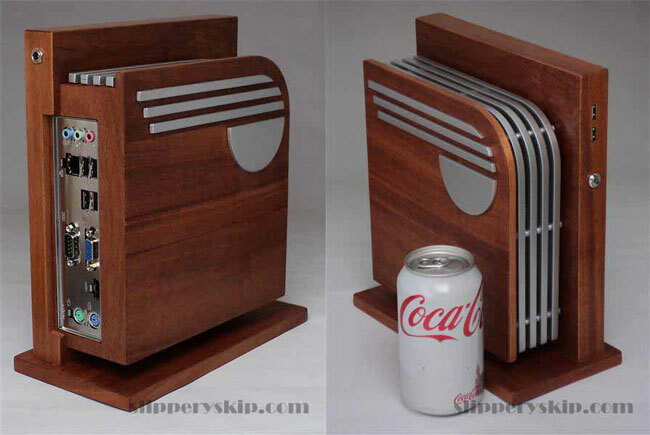 Jeffrey Stephenson is well know for creating custom computers, and we have featured a number of his creations here at Geeky Gadgets, his latest one is called the Aerodyne. 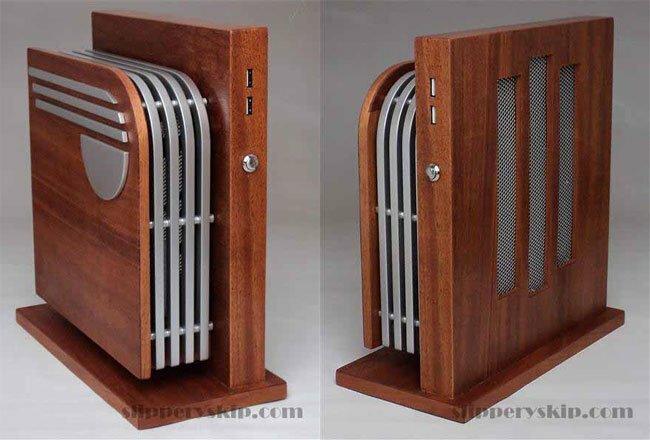 The Aerodyne is made from a combination of mahogany and aluminum and it is based on a fanless mini-ITX case design, inside the case there is an Intel Core I3-2105 processor, 8GB of RAM and a 256GB SSD, and it is running Windows 8. 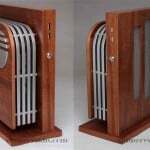 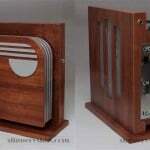 Jeffrey has been making these custom computers for ten years, and none of his creations have been sold before, but it looks like you may be able to get your hands on the Aerodyne, as Jeffrey is considering making five to ten of this one and may put it up for sale. 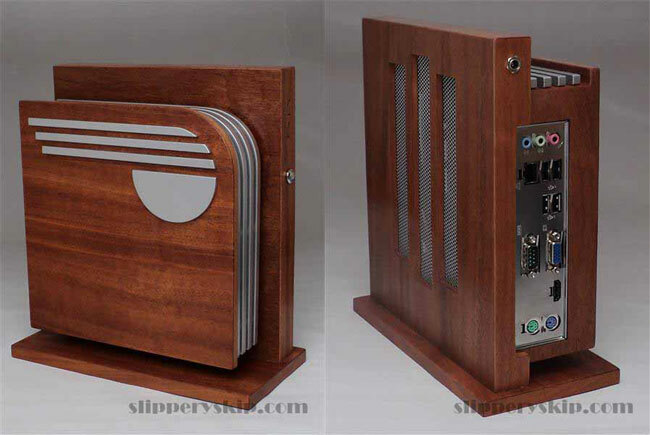 We don’t have any details on how much it will cost as yet, but you can find out more information over at Slipperyskip.